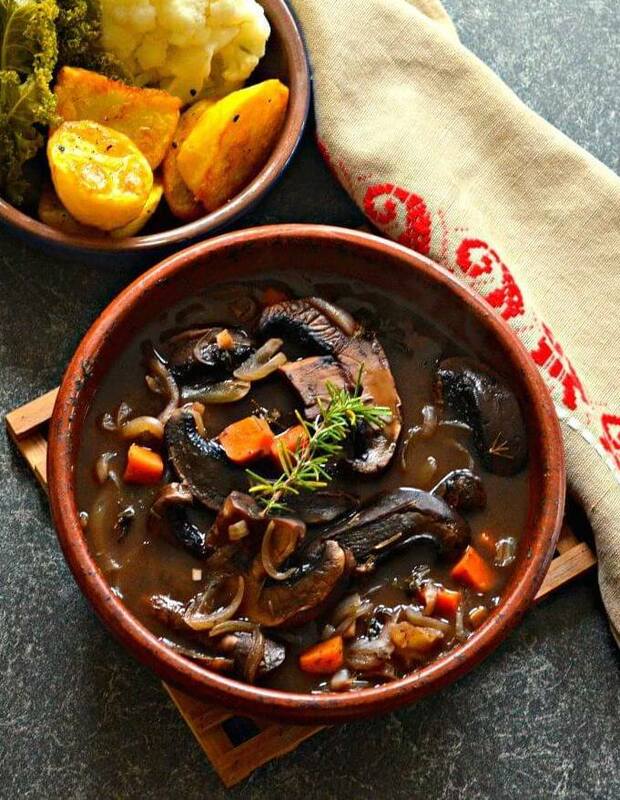 The ultimate one-pot family meal – Rich and hearty Vegan Portobello Pot Roast with red wine, herbs & vegetables. They all combine to make a delicious plant-based feast! 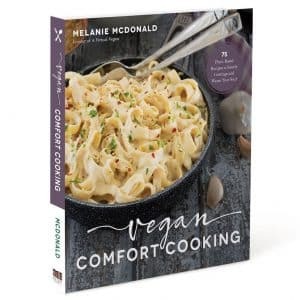 This is a popular recipe that was previously published on A Virtual Vegan in 2015. I have updated the post and added a video to make it even better! 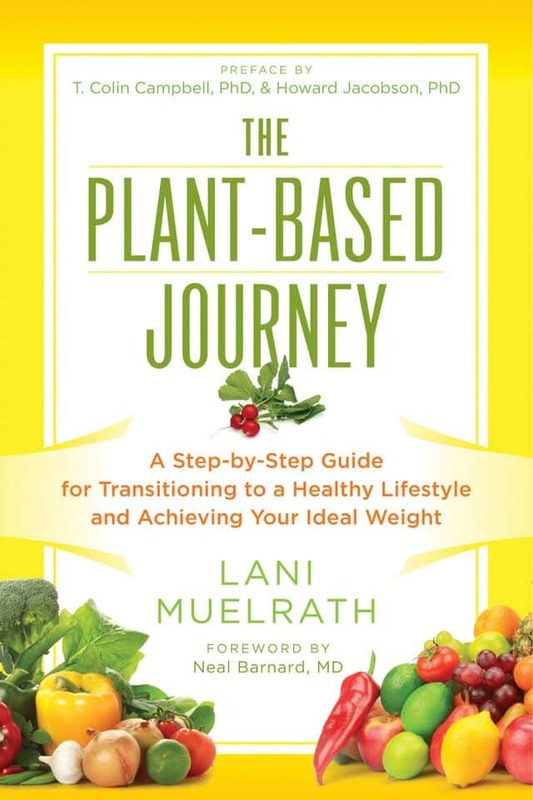 Today I am sharing with you a recipe from the The Plant-Based Journey by Lani Muelrath as part of a blog tour organized to promote the book. There were a few recipes in the book that I considered featuring, but anyone who knows me well knows how indecisive I am! 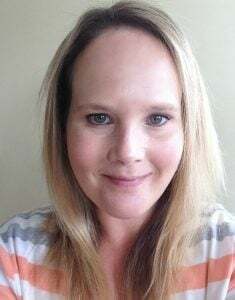 Because I couldn’t choose I put forward a vote on my Facebook page. The Portobello Pot Roast was a clear winner. I made and photographed the Portobello Pot Roast last night. I am the only vegan in our household and my husband and son were having roast beef for dinner. I cooked this alongside it and because they were having roast potatoes I did not add the potatoes to the recipe, which is why you can’t see them in my photos. A traditional Pot Roast is made by searing the meat, then placing it in a pot with the vegetables, broth, sometimes some wine and herbs. It’s then all roasted together really slowly in the oven. 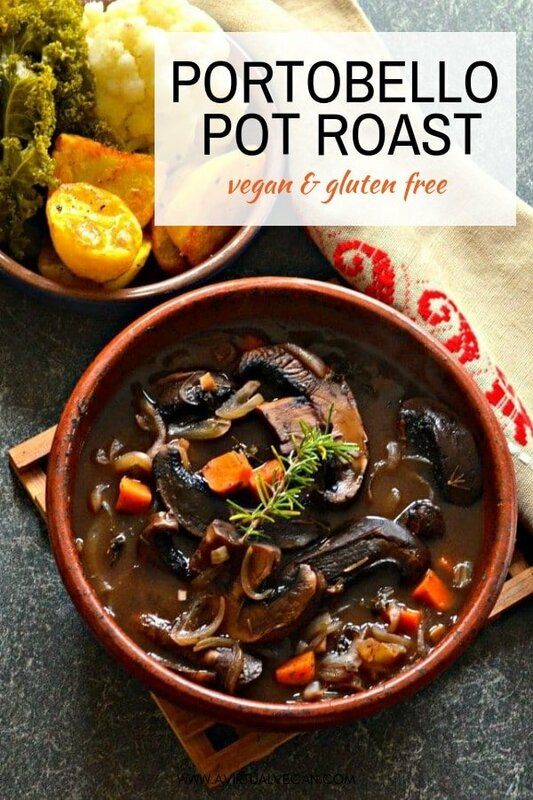 This Vegan Pot Roast is made in much the same way, by searing the portobello mushrooms then cooking them with the vegetables and broth in the oven. Remember when you put it all together, that not much evaporation happens in the oven because it has a lid on it, so don’t add too much broth at first. Check it as it’s cooking and add a little more if you think it needs it. You can always add a little more but you can’t take away if you add more than you’d like. I like to use the broth sparingly when I make this recipe so that the gravy is really thick, dark, rich and flavourful like in the photos, but you can add more broth (like in my video), so it is much thinner if you prefer. It’s almost like a stew then. This Portobello Pot Roast smells amazing and is so rich and delicious. 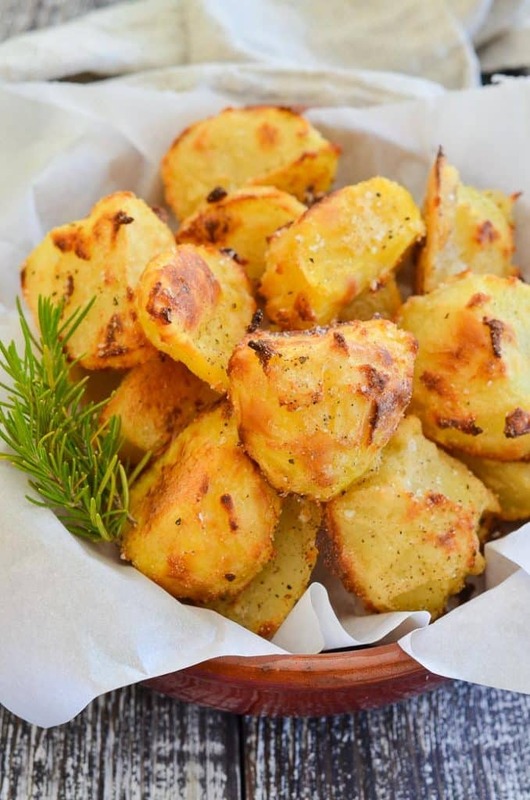 When I make it, I tend to always omit the potatoes, and cook my oil-free crispy roasted potatoes to serve on the side instead. Just look…They are made with no oil at all ???? That way you have all the textures going on, which, as you know I love. This recipe has become a staple for us. I do however add a little more red wine to the sauce and a bit less stock, plus a few dried and rehydrated porcini mushrooms to intensify the flavour a little. When you do this it is out of this world! 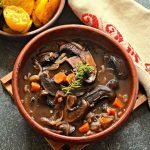 If you have an Instant Pot, I have created a Vegan Portobello Instant Pot Pot Roast which you will love! As a pie filling. Make it as directed so the gravy is pretty thick. Then make a pastry crust and fill it with the pot roast to make a pie. Divine is not the word! 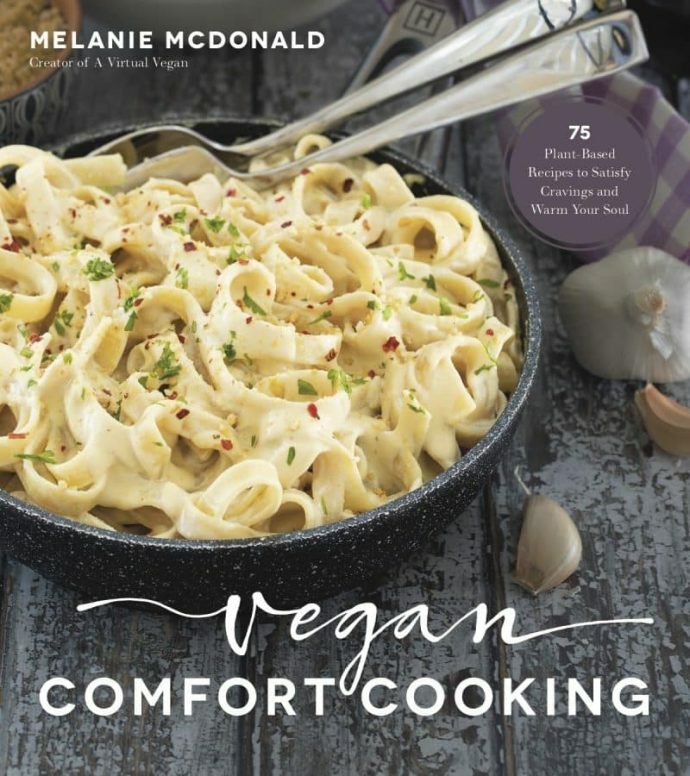 If you love this Portobello Pot Roast and oil-free, healthy recipes in general, then you might also be interested in my review of Lani’s latest book, The Mindful Vegan. 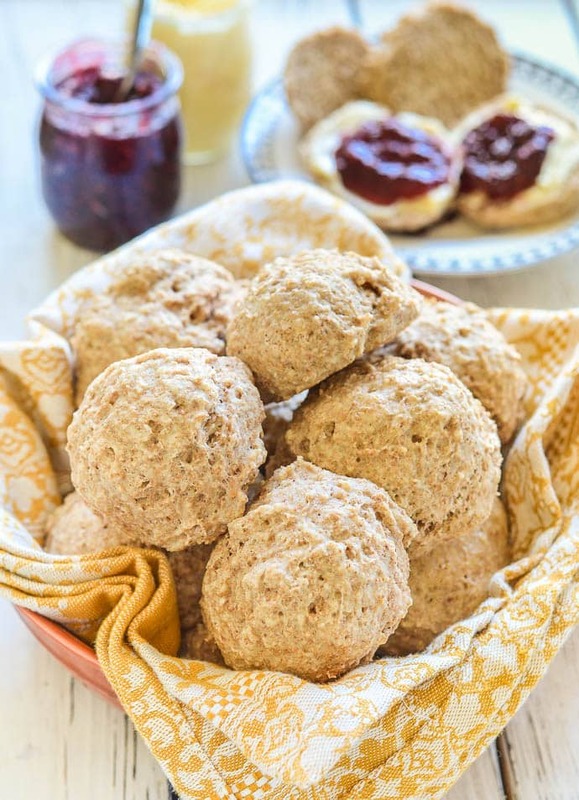 I featured her recipe for Healthy Oil-Free Vegan Biscuits and they have been so popular. The ultimate one-pot family meal - Rich and hearty Vegan Portobello Pot Roast with red wine, herbs & vegetables. They all combine to make a delicious plant-based feast! 3 cups | 720mls vegetable broth divided. If you use all the broth it will end up with thin gravy like in my video. I personally prefer to use less and have a thicker gravy. Usually about 500 mls total. 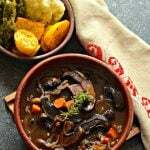 In a large saucepan (or a large stovetop to oven like a Dutch Oven , heat 1/4 cup of the wine and add the portobello mushroom slices. Allow them to cook through and brown a bit—you’ll need to keep moving them around and turning them—and then remove from the pan and set aside. When the mixture just starts to boil, turn the heat off and add any additional seasonings you prefer, such dried herbs and black pepper. For more flavour, replace some of the broth with extra wine and throw in a handful of dried porcini mushrooms before it goes in the oven. 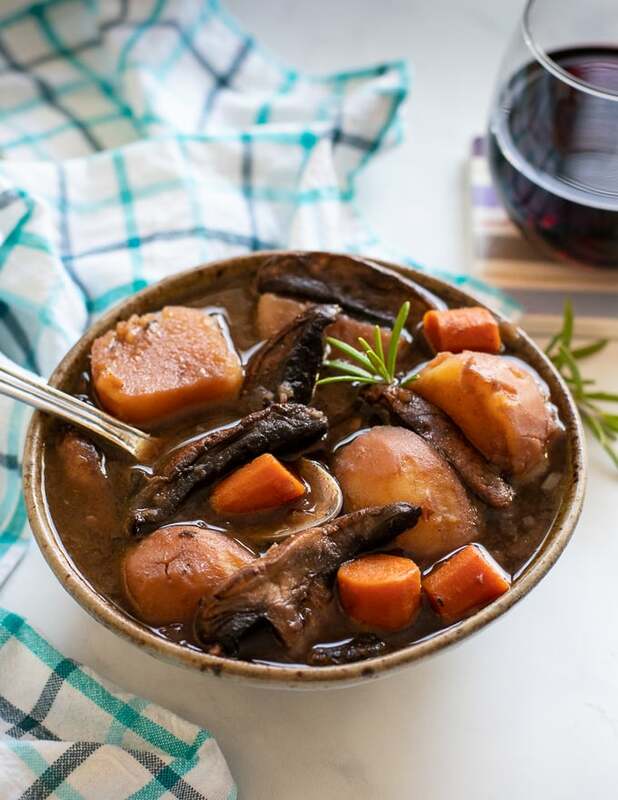 If you would like to cook this Portobello Pot Roast in a slow cooker then prepare as directed until the gravy is made, then tip it into the slow cooker and add the rest of the vegetables and the seasonings. Sit well and cook on low for around 4 hours or until the potatoes are tender. Add a little more liquid if it looks like it might dry out towards the end. You could use broth or some red wine.